Hi everyone, today I have an AMAZING Indie nail polish to share with you – Black Cat Lacquer was introduced to me by my friend Holly & now I know why she loves this indie brand as much as she does!!! This particular polish was inspired by the HBO show “Dexter”….are there any Dexter fans out there?? I know I am! And seeing as it’s the final season of the show I thought it was appropriate to buy an inspired polish in celebration of this fantastic HBO series (I purchased another Dexter inspired polish which I will post soon). 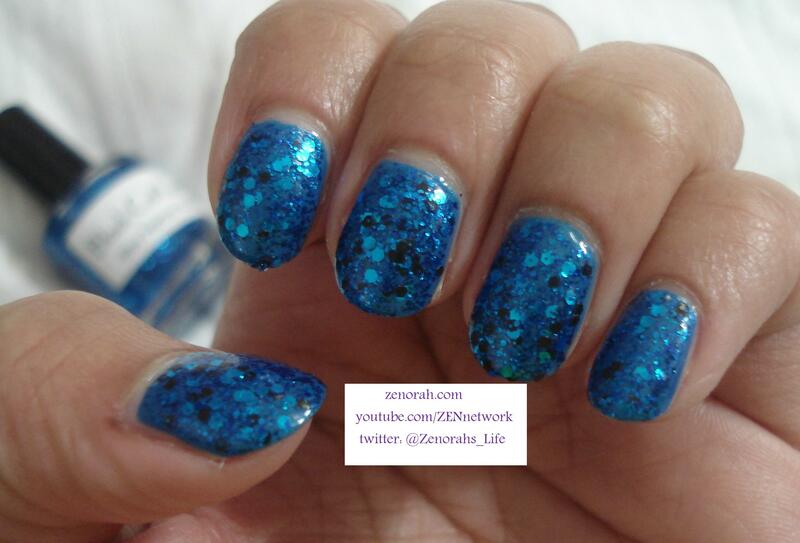 I layered this polish over Zoya’s Tallulah which you can view HERE. 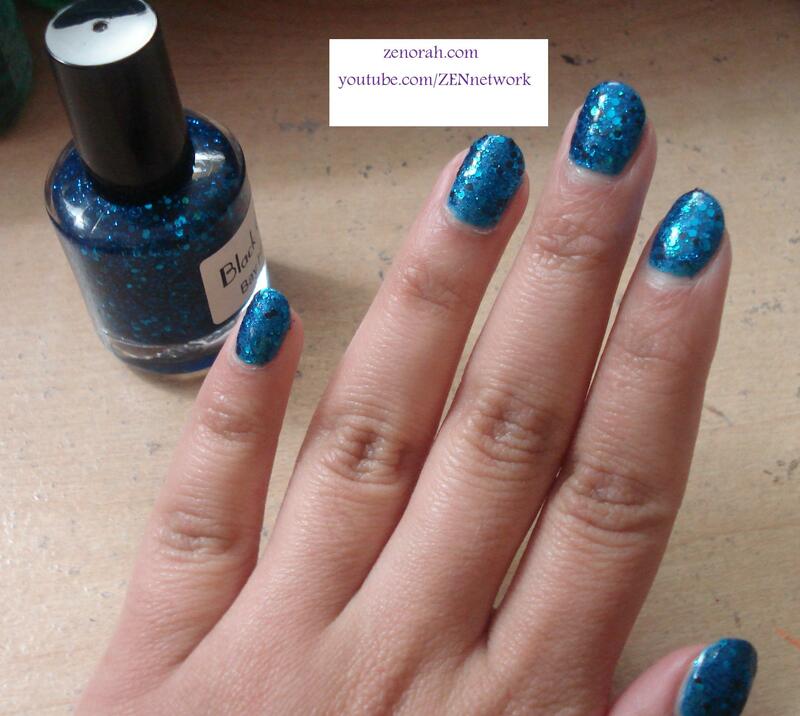 I LOVE this polish so much – it honestly is one of my favourite blue glitters of ALL time and I am super picky about loving glitter polishes so you have to know it’s pretty awesome! 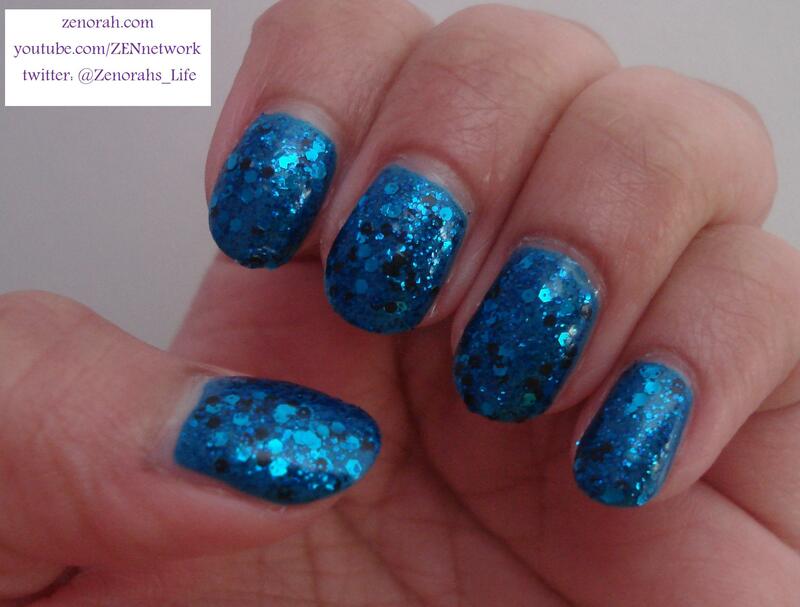 I layered one super dense coat of Zoya’s Tallulah and two coats of BHB over it – what I really liked about the polish is that you didn’t need to fish for glitter particles. But as you can see I have more black glitter particles one nail than another but that’s the beauty of the polish I guess..it kinda gives character to the manicure. This manicure literally GLOWED off my nails I LOVE it sooooo much!!! And if you are a teal, turquoise, royal blue glitter lover this should be a MUST HAVE on your wishlist because you will fall in love with it!!! Another great benefit is the drying time – for a glitter polish I expected a longer drying time but it took about 10-15 minute for each hand to dry which is pretty good I think. The wear time was decent as well, it didn’t start chipping till Day 4 of wear, however as with all glitter polishes it is more difficult to remove than creme polishes so that is standard for glitter polishes for you. I purchased her polishes at her Etsy shop HERE! 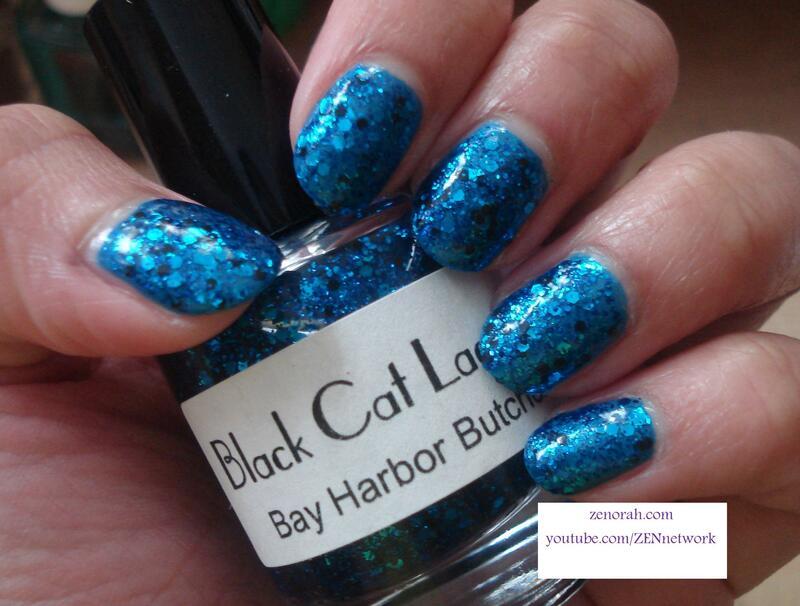 Do you own Black Cat Lacquer ‘Bay Harbor Butcher’? My NARS Blush Collection + Giveaway!!! Wow this looks super pretty on you girl!